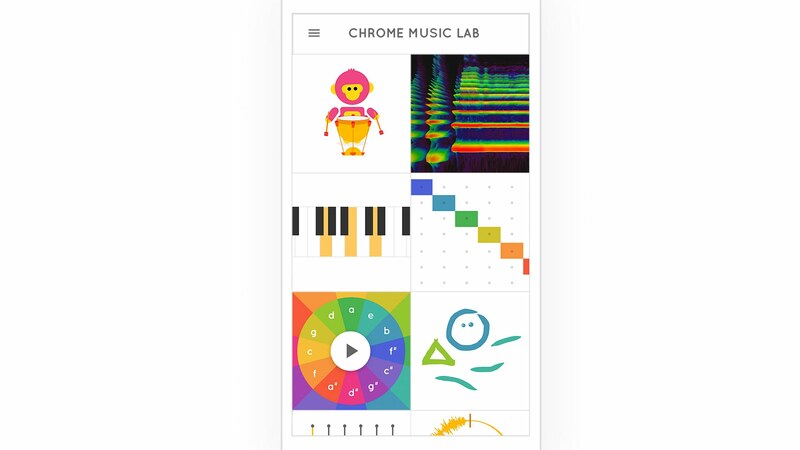 Google introduced the Chrome Music Lab this week, allowing anyone with access to the web via mobile device or desktop computer to play with music. With it, users (with an emphasis on younger folk) can physically engage themselves with music, turning drawn pictures into music, playing with voice pitch adjusters, and much more. When you access the webpage Google published, you will see a variety of experiments to try out. A few of them require permissions to be granted, such as one for the microphone on your device, but when granted, you can start making music. Personally, after having a go with it, I quite enjoy the Kadinsky experiment, which is the drawing exercise. The best way to explain it is, draw different shapes, and let Chrome turn it into sweet tunes. Other experiments cover arpeggios, a spectrogram (to see what music looks like), and a brief workshop on chords. Again, everything is sort of brightly colored and happy, so this might be something kids would greatly enjoy. I should note, the Music Lab works fine on desktop computers, but I think the best experience is on mobile devices. Wanna give it a shot? Click this link from your mobile device to get started. Google's Android Head Talks Android N, Hints at Possible Name?